Time to Move Beyond “New Space”? 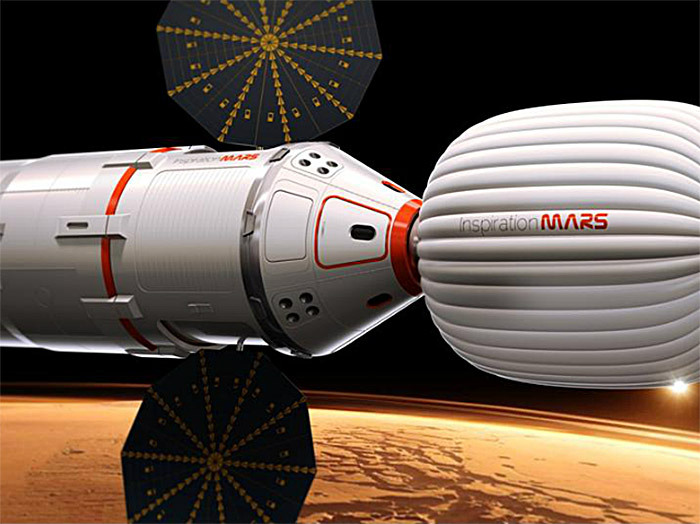 Dennis Tito’s Inspiration Mars flyby mission needs financial assistance from NASA. “We’re going to have to do it with NASA, and probably a certain amount of government funding,” said Dennis Tito, in a story reported by NASA’s Alan Boyle. This follows a long pattern of space projects whose promoters start off saying “launch costs are not an issue.” Over time, these projects require more and more government funding, and usually fail when that funding is not forthcoming. We saw the same thing back in 2004. When the Bush Vision of Space Exploration was publicly announced, there was a lot of talk about how it would enable commercial lunar development and settlement — an idea was heavily promoted in books such as Moonrush by Dennis Wingo. This is the result of putting the cart before the horse. We have failed to do the necessary work to reduce space transportation and operation costs, which is necessary before we attempt ambitious commercial projects in space (especially deep space) — a point that was hammered home time and time again by hard-headed pragmatist G. Harry Stine, in his many columns and books such as Halfway to Anywhere. 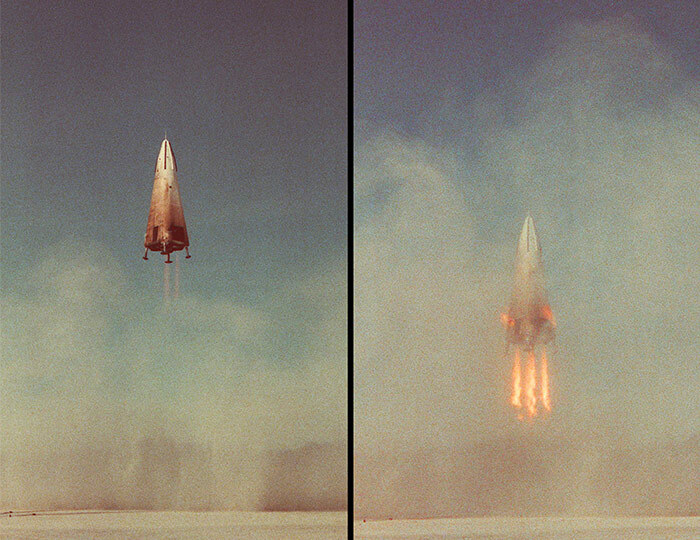 The “moon rush” failed because “new space” was in too much of a hurry to wait for the development of cheap, reusable space transportation systems. They argued that lunar development had to begin immediately, with expendable systems, in order to meet their timetable. Ironically, it has now been nine years, and “new space” is no closer to manned lunar missions than it was in 2004. NASA’s Vision of Space Exploration is stalled, and commercial lunar ventures have failed to attract the investment which promoters predicted. At the same time, huge sums have been invested in the development of Apollo-style hardware, which “new space” leaders have belatedly come to oppose. It is a truism that when a person rushes, he often falls down. The moon rush was no exception. If the time and money invested in Ares, SLS, and Orion had gone into developing low-cost launch systems, those vehicles might be operational today. In that case, “new space” would be much closer to its goal than it is right now. With low-cost launchers, projects such as Inspiration Mars and lunar settlement would be much more affordable, perhaps within the reach of private ventures without injections of government funding. “New space” failed because it tried to skip the necessary first steps. As Stine said, you have to touch first, second, and third before you steal home. Twenty years ago today, the McDonnell Douglas Delta Clipper Experimental (DC-X) made its first flight. Built for tens of millions of dollars, rather than billions, it achieved a remarkable series of test goals within a short period of time. For a brief moment, Cheap Access To Space appeared to be within reach. Just over nine years ago, President George W. Bush announced his new Vision of Space Exploration. The “new space” advocacy groups immediately jumped on the BVSE bandwagon and tossed Cheap Access To Space under the wheels. The mantra “launch costs are not an issue” became a popular new-space soundbite — a “cultural cruise missile,” as new-space advocates called it. The failure of new-space advocacy groups to incorporate sound engineering economics and basic business principles has led to a strange contradiction, where “new space” leaders use free-market rhetoric while simultaneously asking for increasing government subsidies. It’s time to move beyond “new space” and return to the sound economics and hard-headed pragmatism of old-timers like G. Harry Stine. Only then will it be possible for visionaries like Tito and Wingo to realize their dreams.